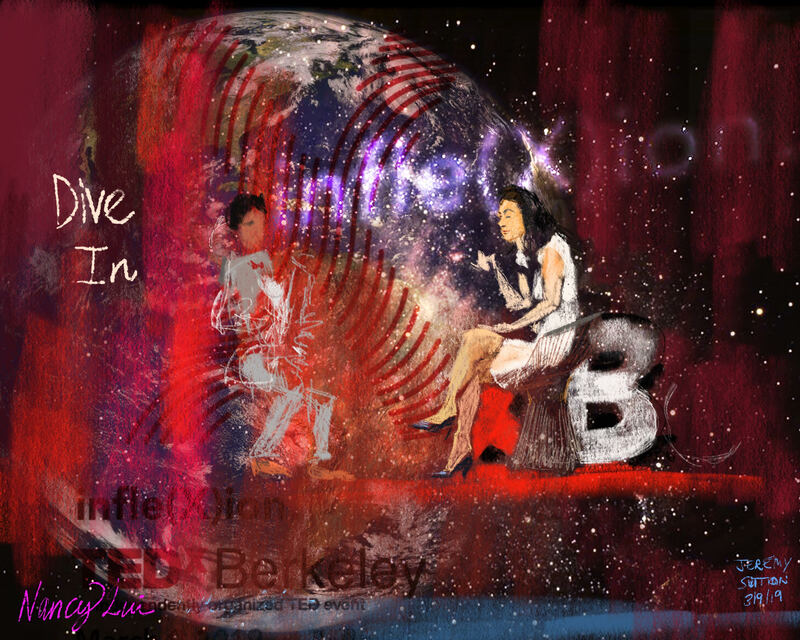 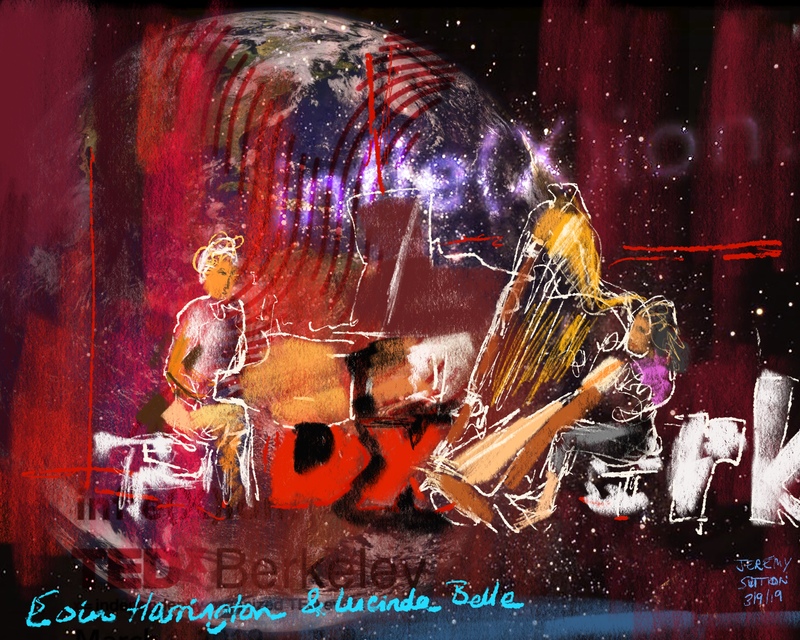 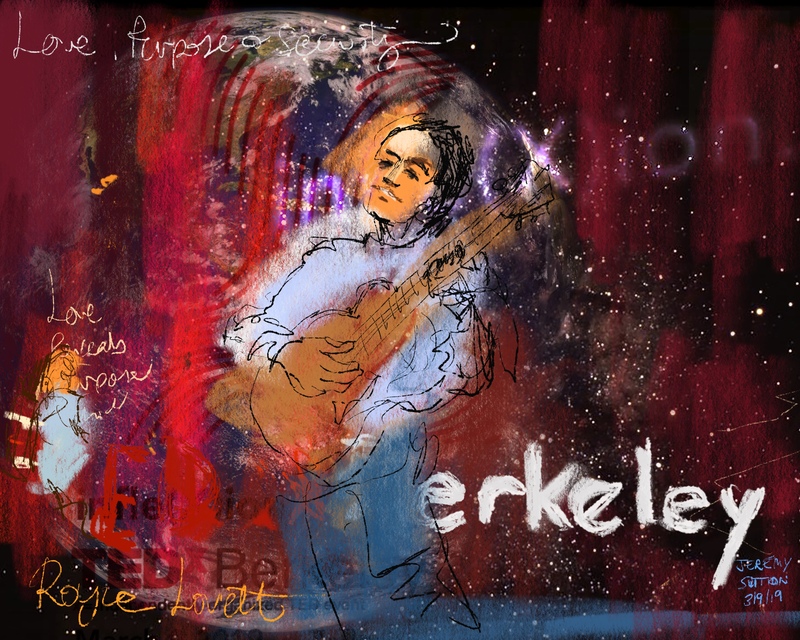 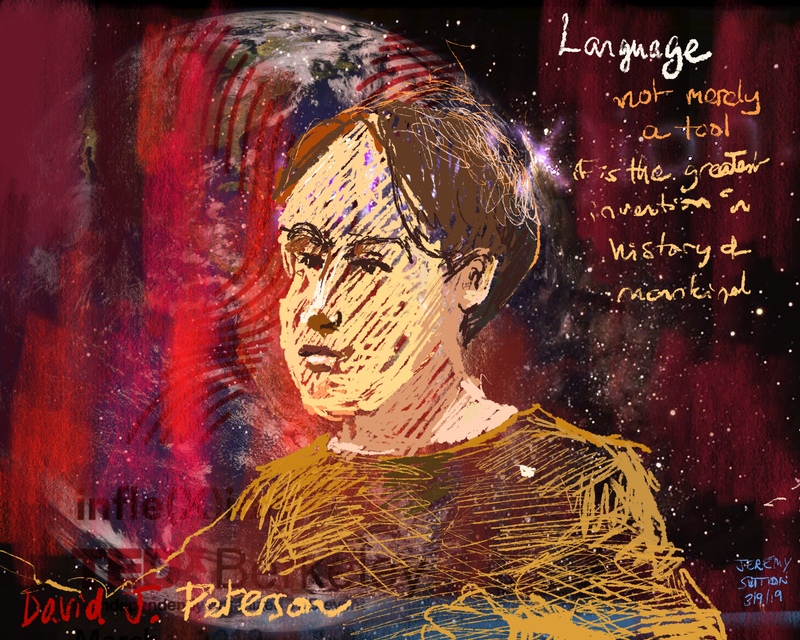 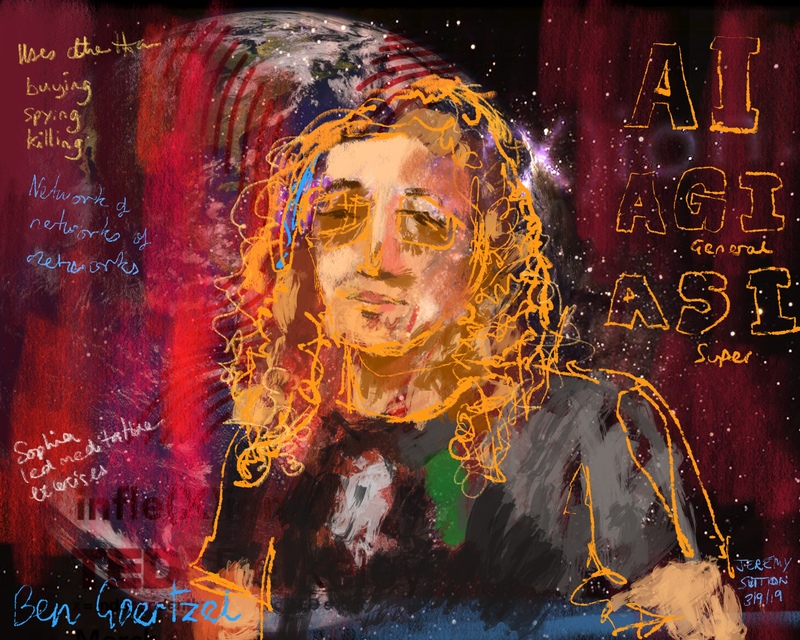 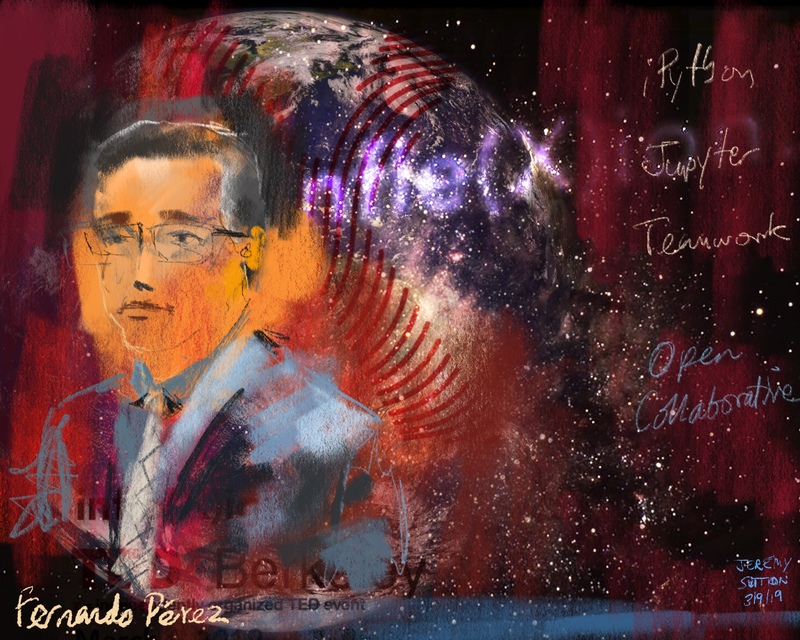 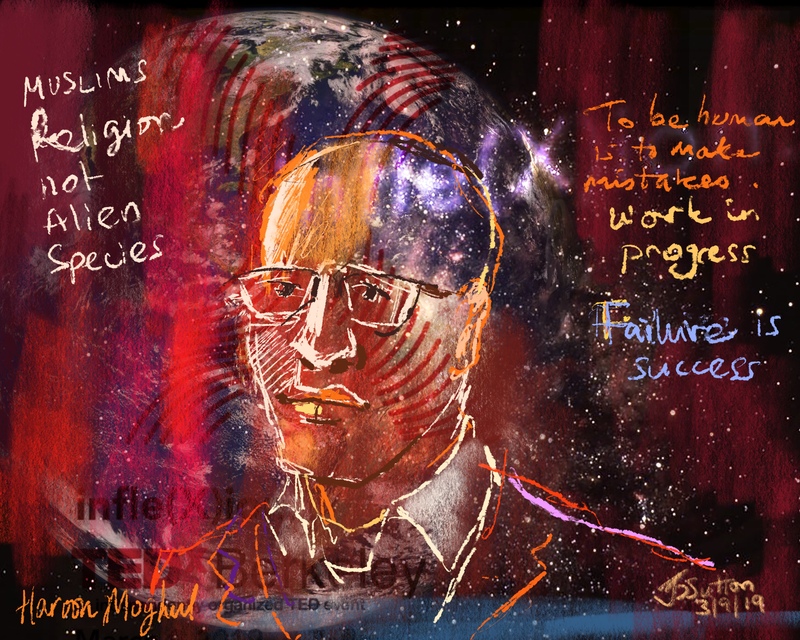 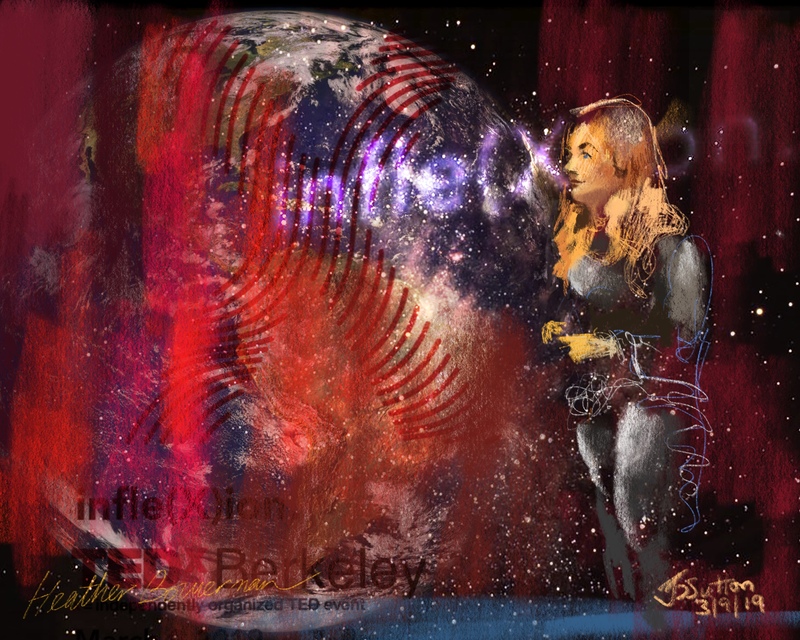 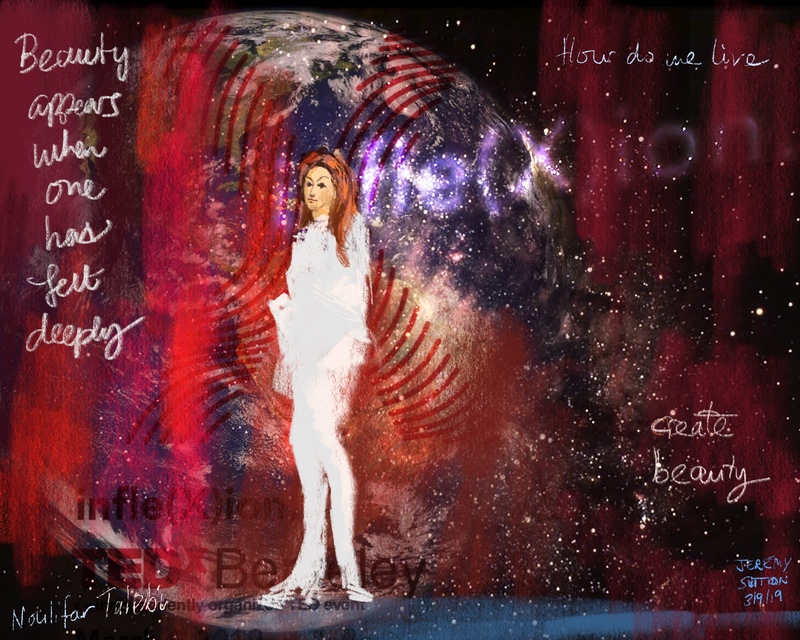 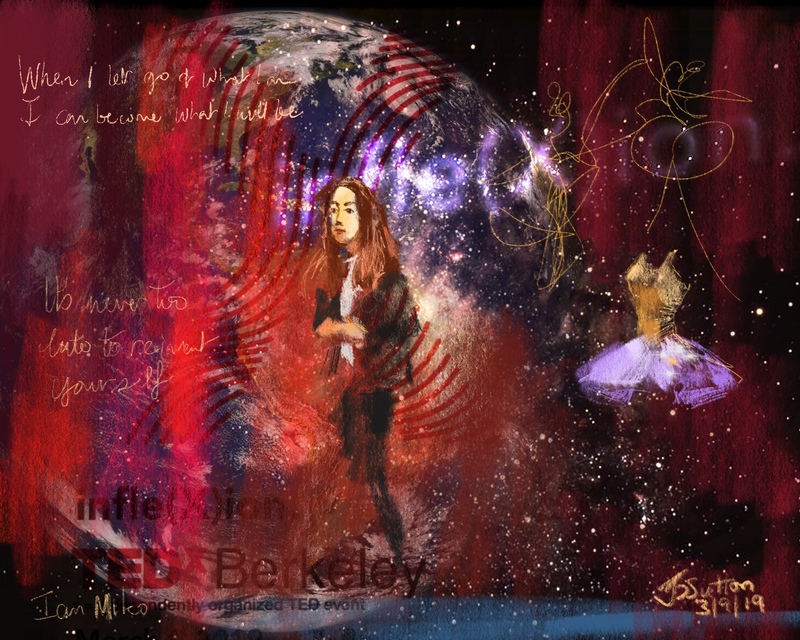 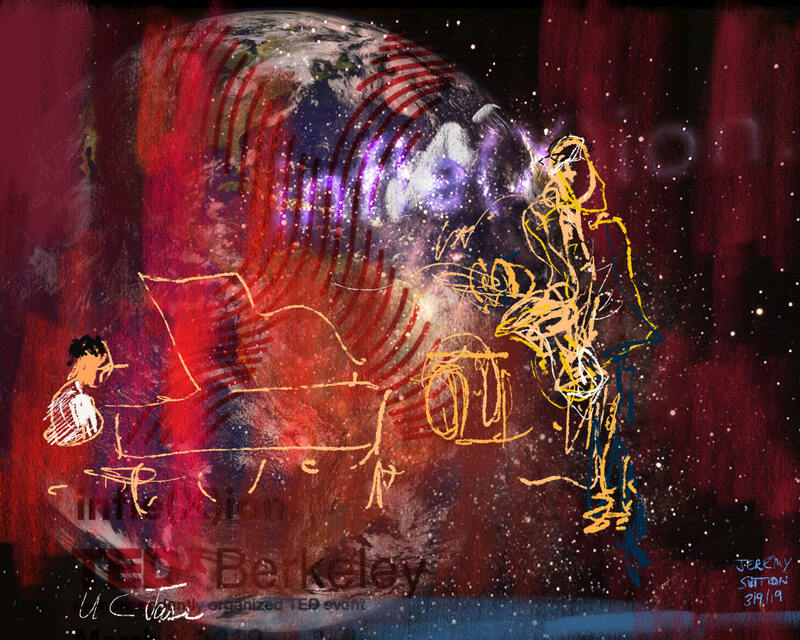 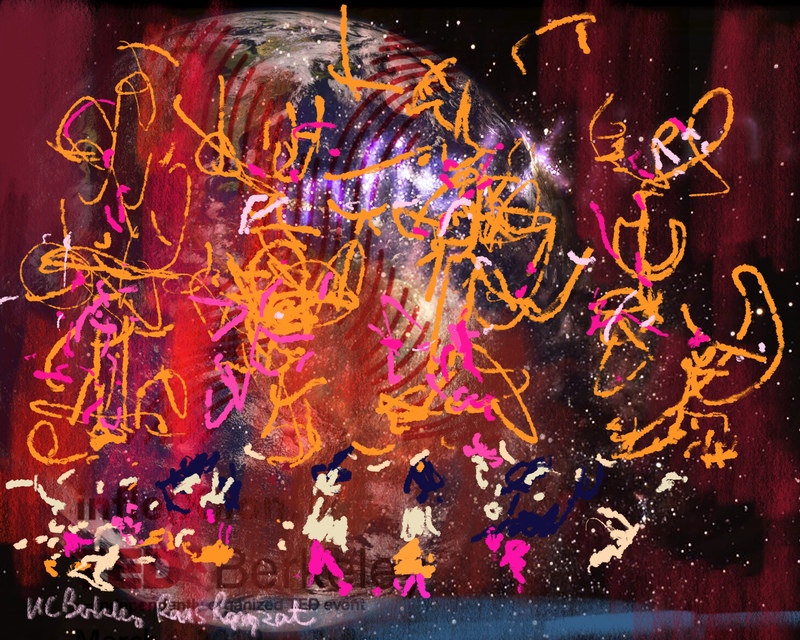 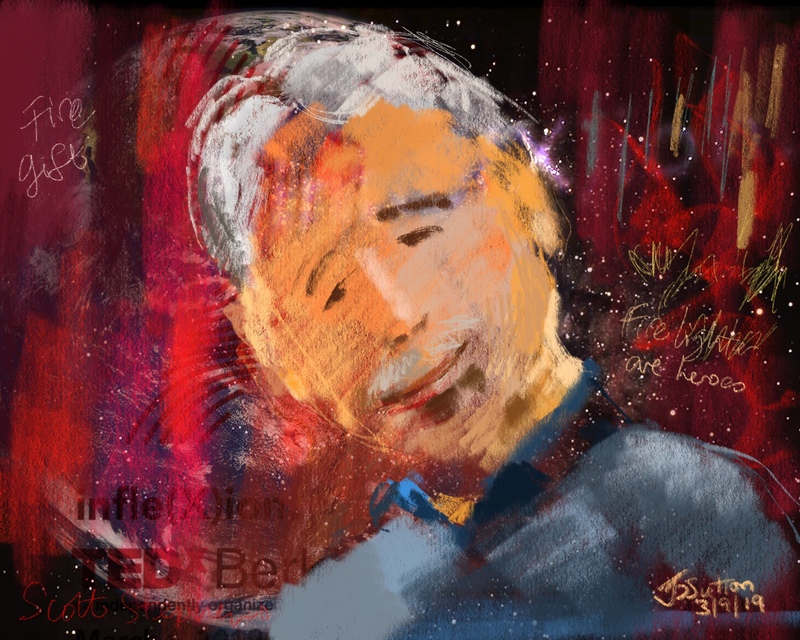 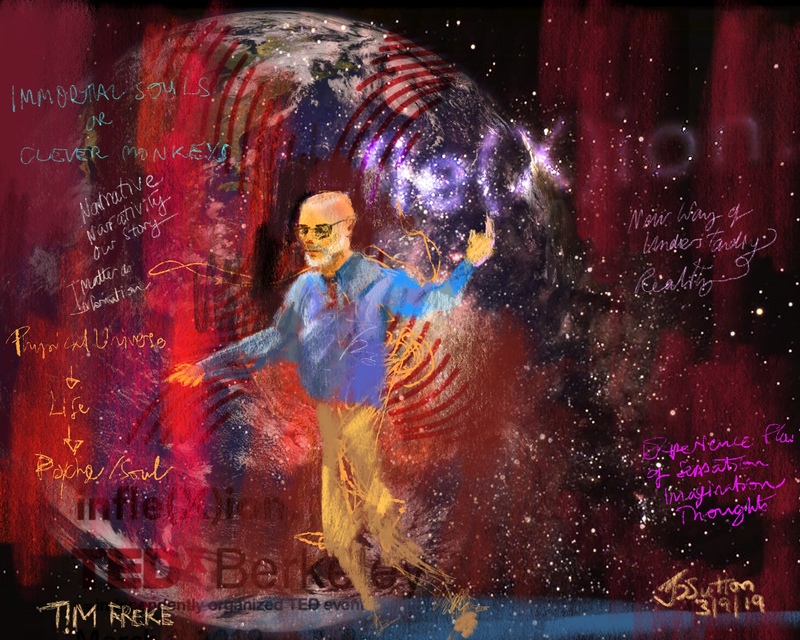 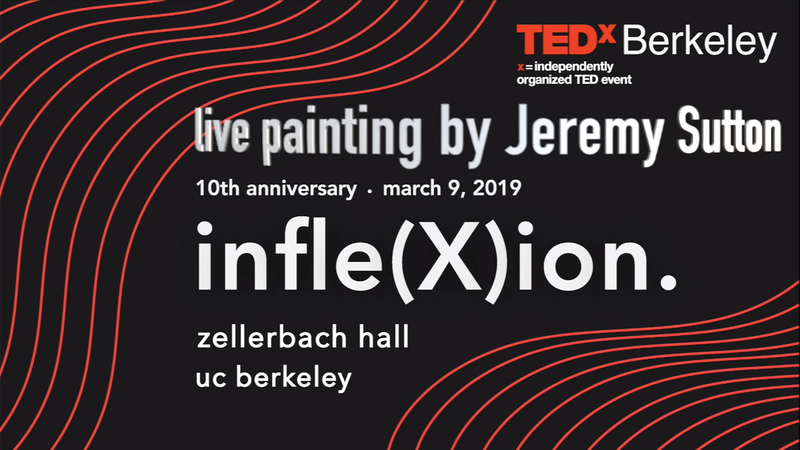 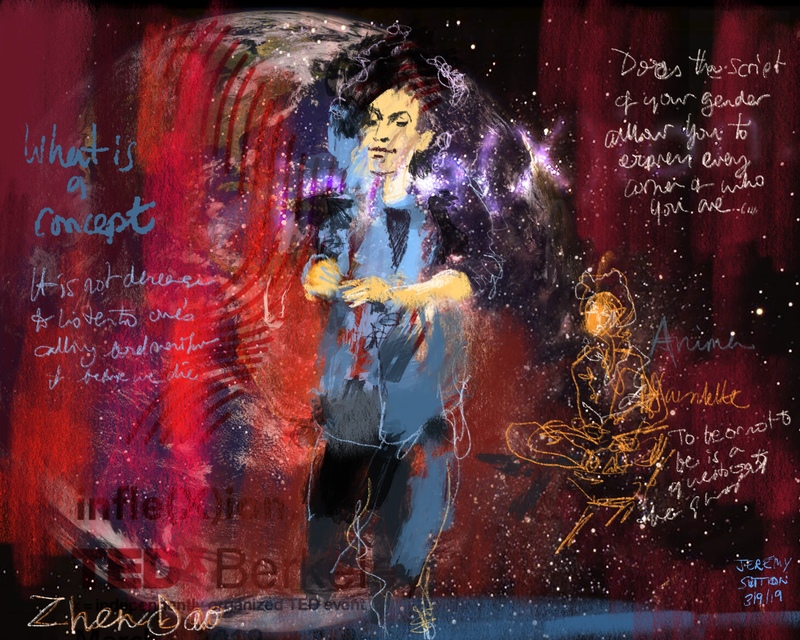 I was invited to live paint the entire day of wonderful, inspiring and fascinating presentations and performances at the TEDxBerkeley 2019: Infle(x)ion in the Zellerbach Auditorium of the UC Berkeley campus on March 9th, 2019 where they were celebrating their tenth anniversary. 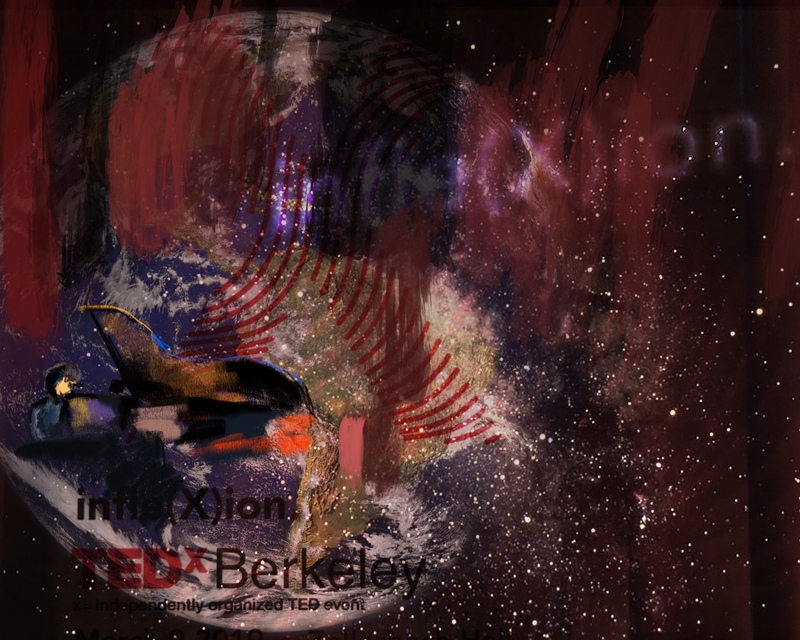 See the TEDxBerkeley YouTube channel to see video of all the presentations and performances and the TEDxBerkeley 2019 List of Speakers & Performers for their social media handles, links and web sites (I’ve also included their web site links below). 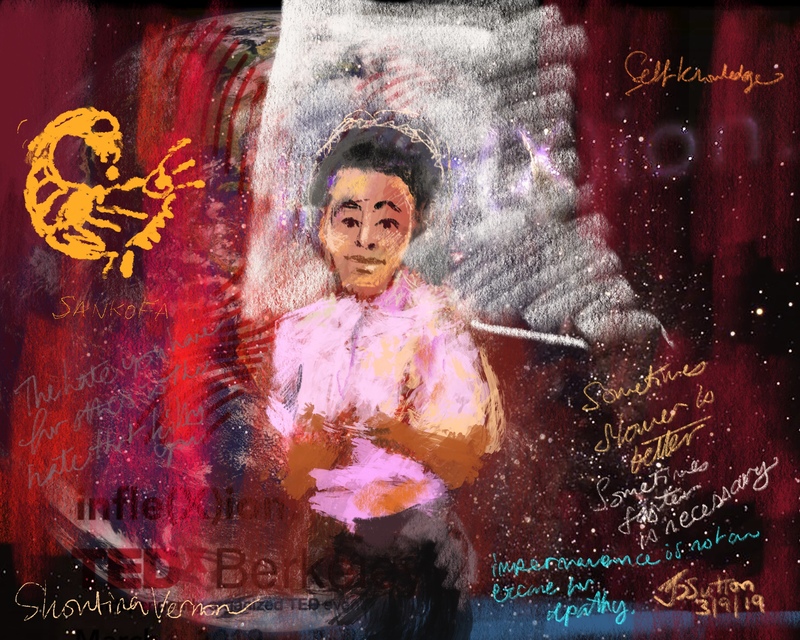 I created a single painting throughout the day using the latest iPad Pro 12.9 with Apple Pencil 2 and the Procreate app. 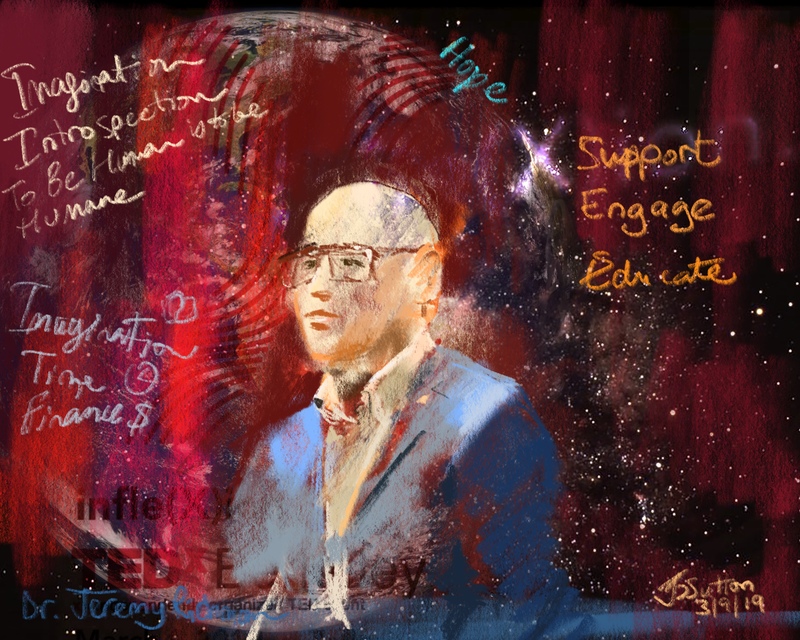 In the video (above) you can see the time-lapse replay of the entire painting process, accompanied by Andrew Chen’s beautiful rendition of Schubert’s Piano Sonata in G Major which he played as everyone gathered in the morning, and see the moment when Royce Lovett had everyone light up the hall with their phones as he sang his beautiful and moving song Ballad (Fly). 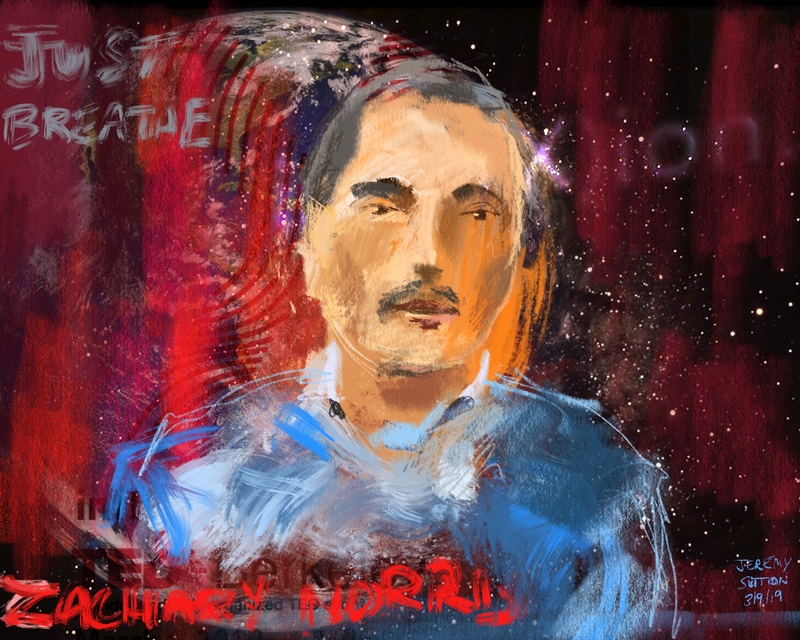 I am absolutely AMAZED by how you brought our talks to life in your art. 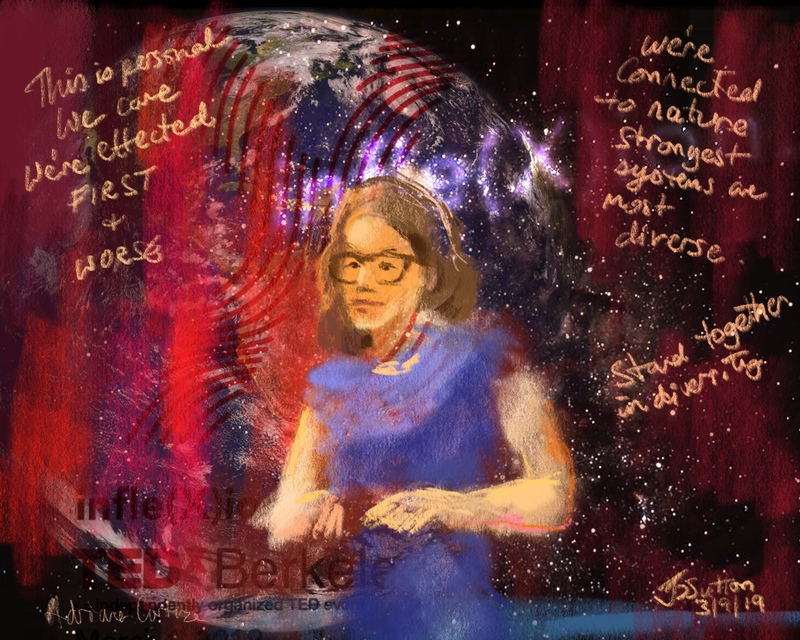 Thank you for all of your incredible work and support for our event. 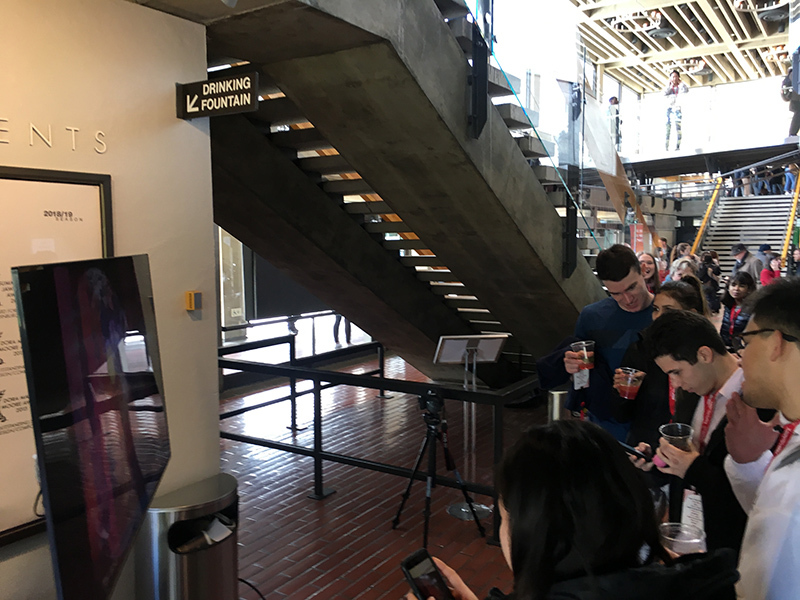 Thank you so much for joining us this year! 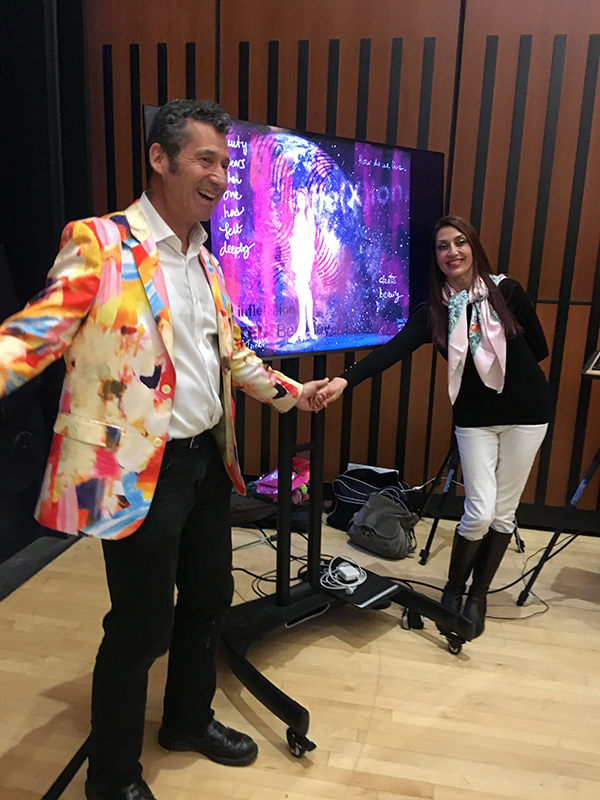 Our team, speakers, and audience really appreciated your beautiful artwork and presence at the event! 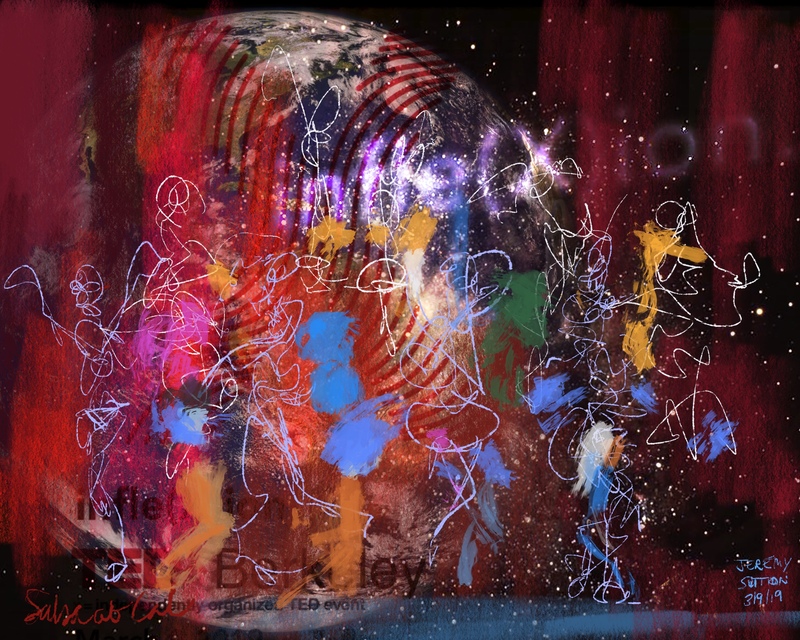 Below are the various stages of the painting, representing all the presenters and performers in chronological order as they appeared on stage. 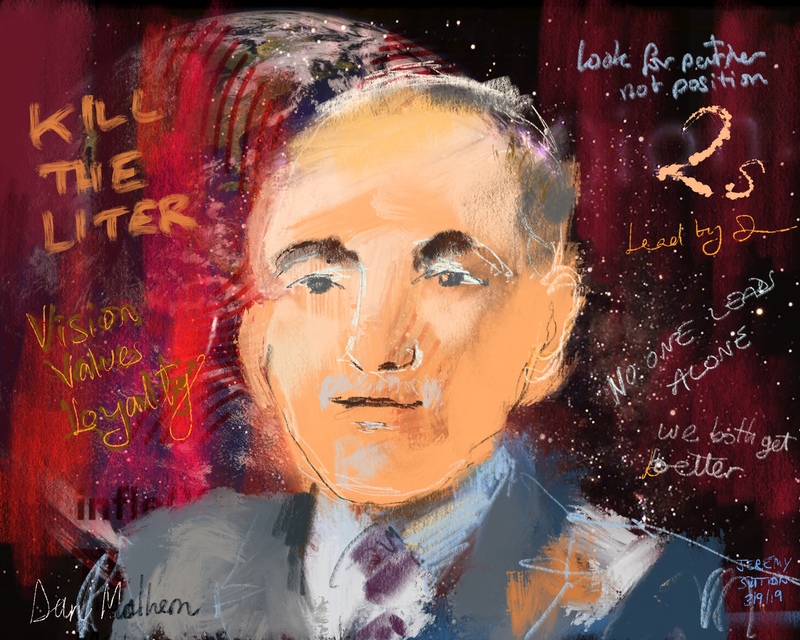 Jeremy Richman – My deepest condolences to Jeremy’s family and friends on his tragic passing. 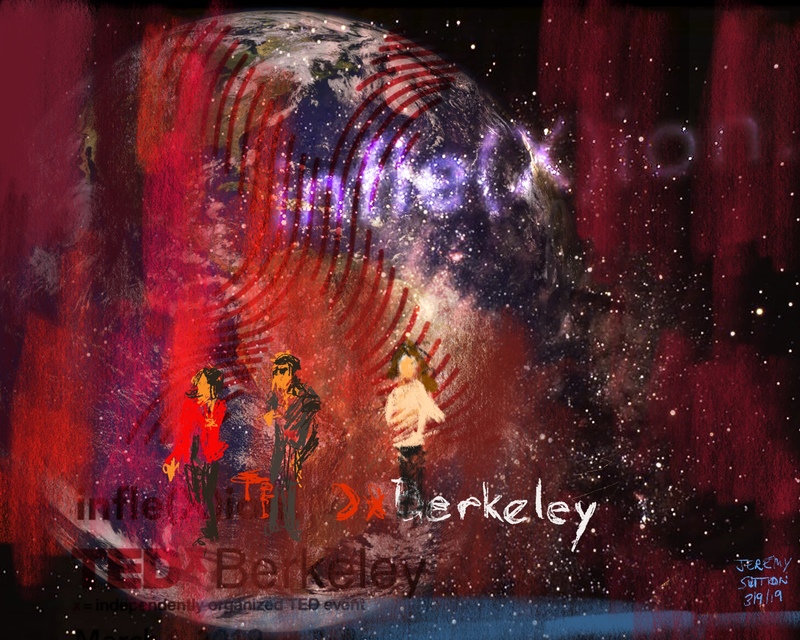 Thanks and congratulations to the fabulous TEDxBerkeley team (including all the amazing volunteers) on a great event and on their tenth anniversary! 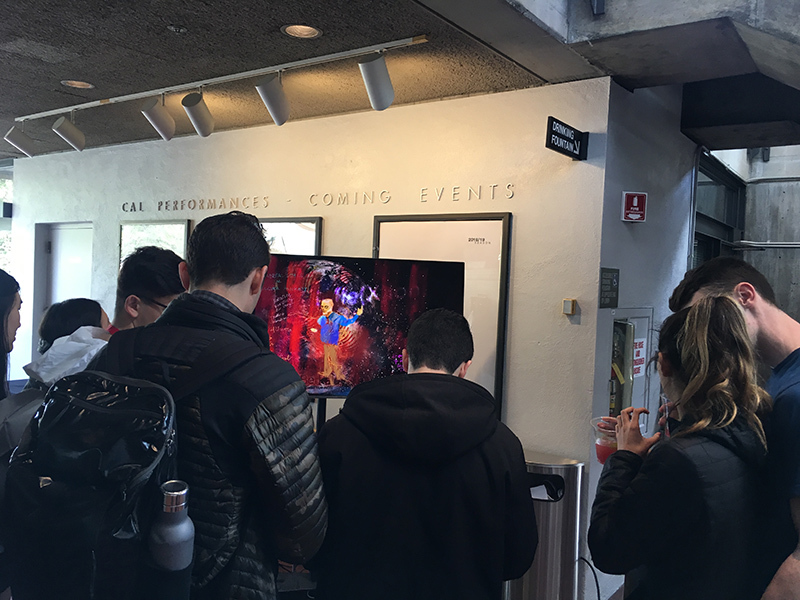 Thanks also to all the Zellerbach Hall and UC Berkeley staff who helped.